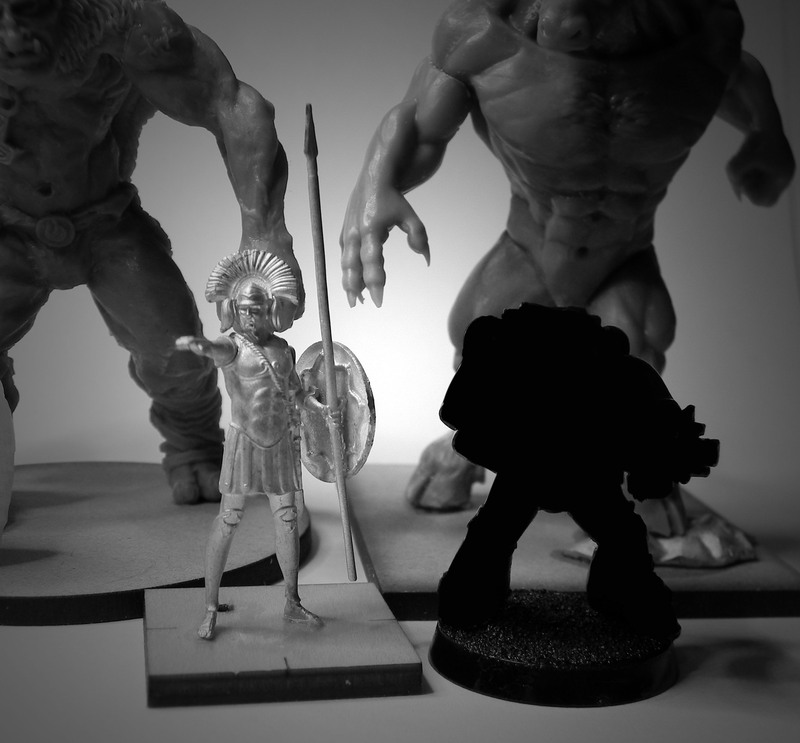 Hi everyone and welcome to another Conquest of the Gods preview! 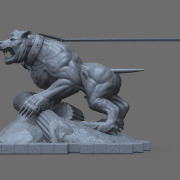 Today i am going to give you all a small taste of what i hope to be unlocking during theKickstarter campaign. 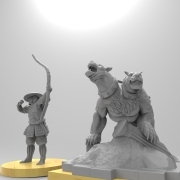 I have designed the campaign to include a number of stretch goals, each stretch goal will essentially fund things like printing the hard cover book and the moulding of the models beyond the starter sets that i have not had the personal finances to fund the moulding for myself. 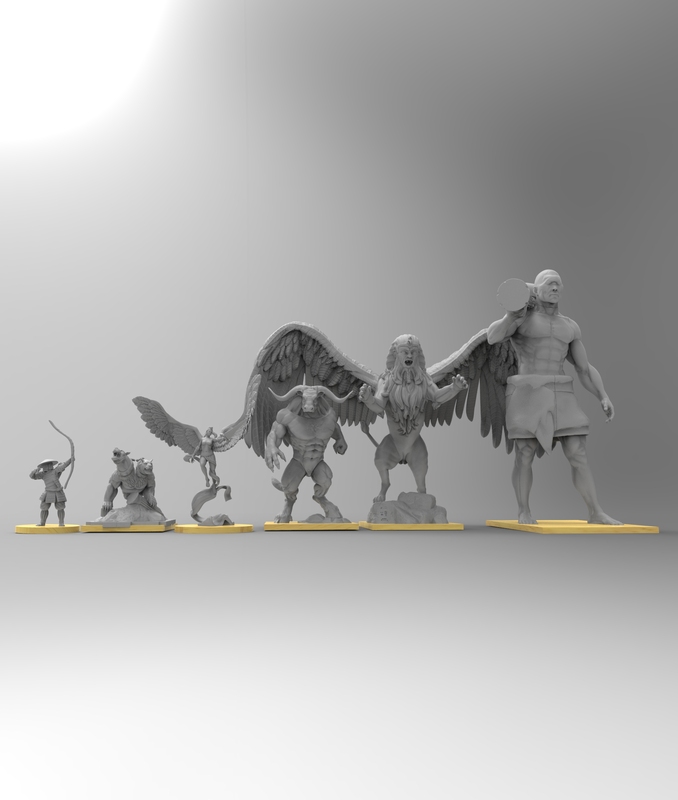 Reaching the stretch goals will inject the funding and let me release these much sooner as it is pretty slow going when they are just being funded from whats left of my wage after i have paid the bills. 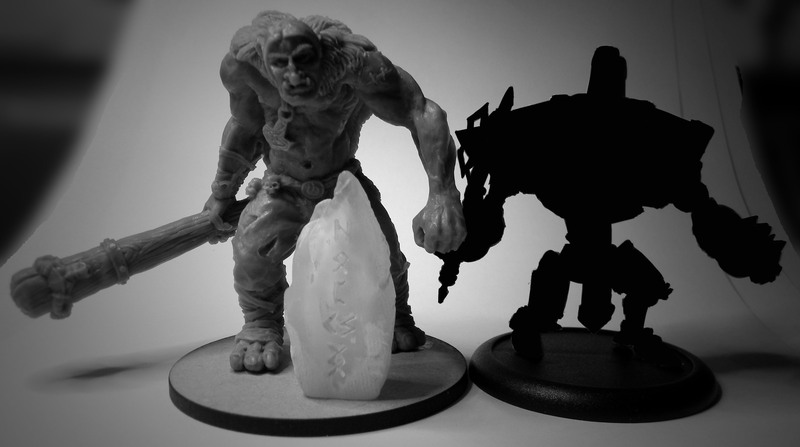 In all but a couple of cases, the stretch goal models have been sculpted and are ready for prototyping. 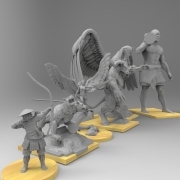 The Conquest of the Gods core rule book will feature 46 different units, covering over 100 sculpts, of these the starter sets only make up a portion of what i have planned. 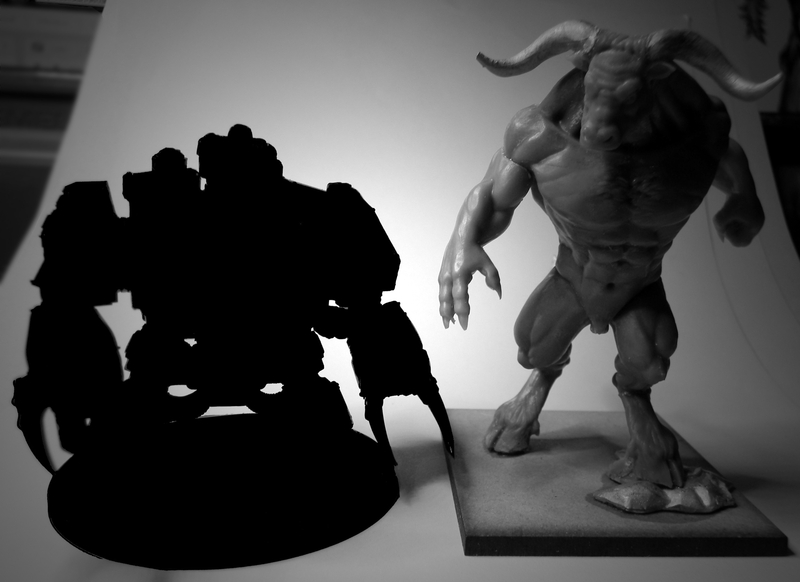 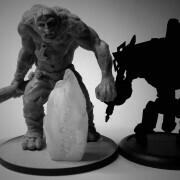 Now here is a selection of some of the stretch goal models sitting among our already impressively large Minotaur. 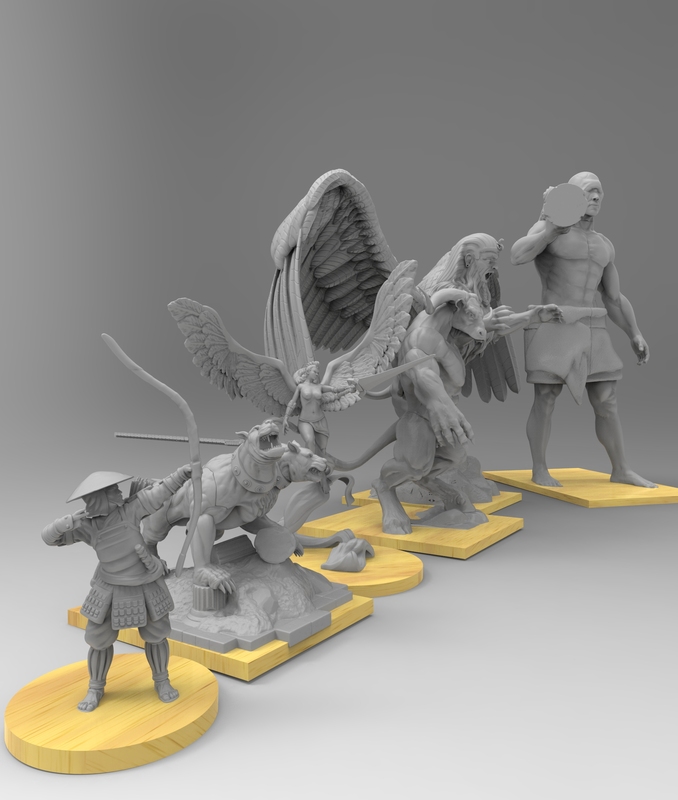 From left to right we have a Japanese Ashigaru (these will come in units), a Greek Orthrus, a Norse Valkyrie, the Greek Minotaur, an Egyptian Alpha Sphinx and a Greek Cyclops. 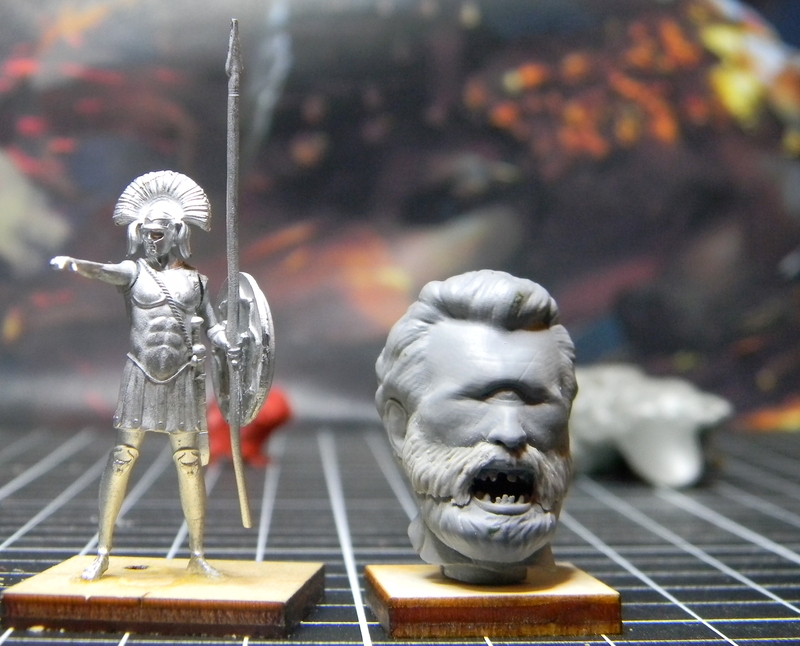 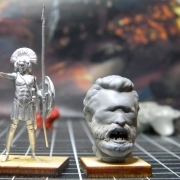 I have already prototyped a character cyclops (polyphemus) who is ready for moulding, so there is no risk in regards to if i can deliver these, i just need the funding….Here is a quick photo of the head of Polyphemus next to a Greek Lochagos, please excuse the bent spear, this play test model has been dropped, trodden on and survived an attack from my 3yo daughter. 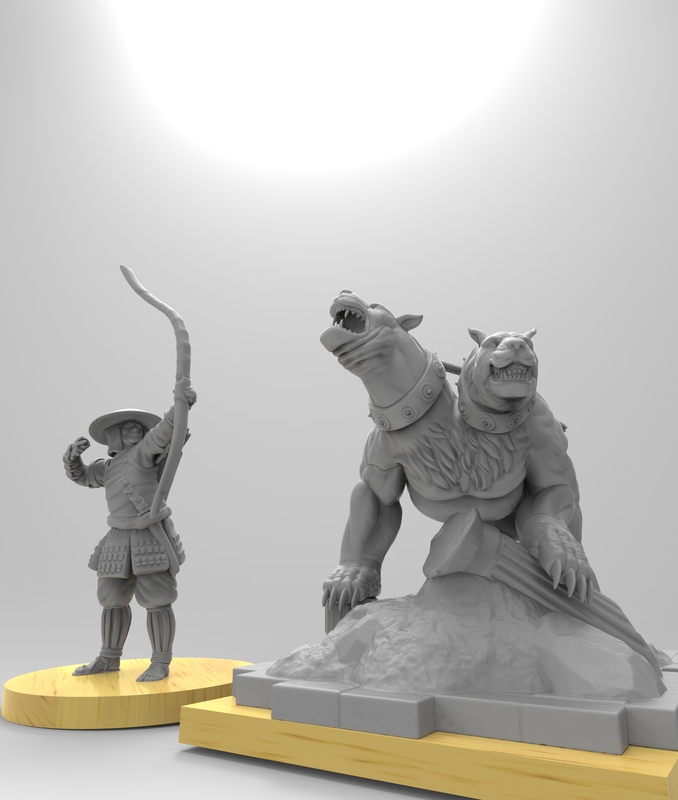 The above imaged do not give the Orthrus the credit it deserves, its a fairly large model by most peoples standards so here is a closer look, keeping in mind that the Ashigaru is a 31mm scale (from the feet to the eyes) miniature. 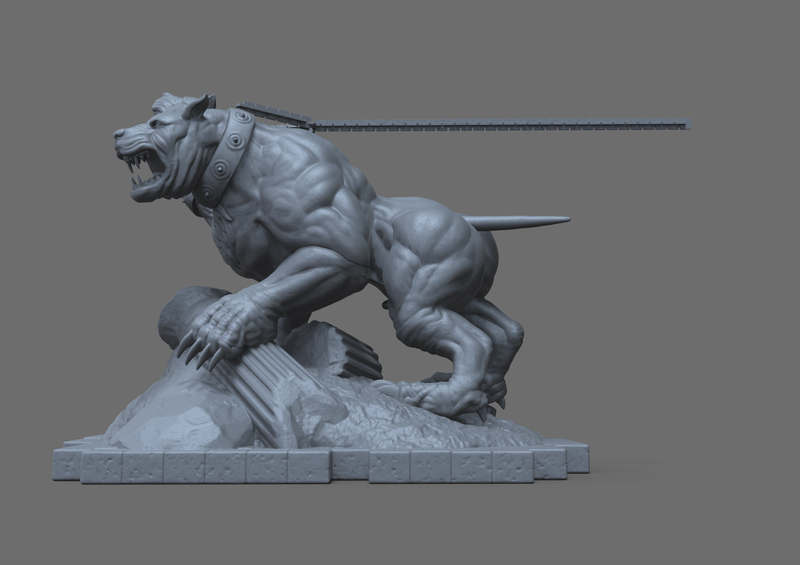 The tail and chains are straight as these will be cast in metal so you can bend them to help customise the look of your model. Stay tuned as excitement builds as we near the launch of the Kickstarter! 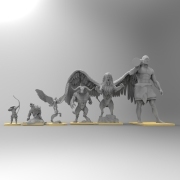 There are more previews to come! 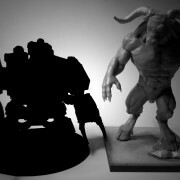 All content © Copyright - Demigod Games - .